“Do unto others as you would have them do unto you,” is David Crutchfield's motto. He serves as an elected official for the City of Dothan District 6 Commission. He spends his free time very active within the community including volunteering with several missions-based organizations. He also enjoys working on his golf game and frequenting the beach. As Accounts Manager, David has an important role in client account relationships. 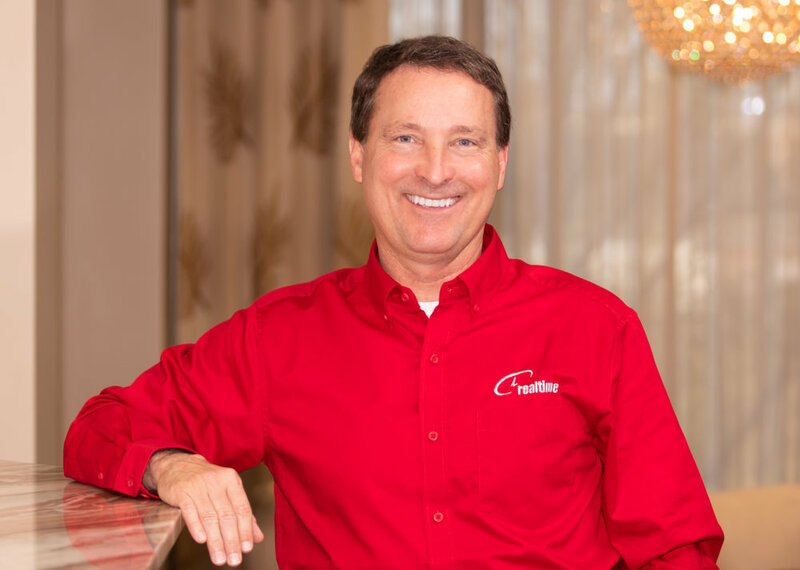 If you have ever met him, you know that David is a natural at putting people at ease, and his friendly, outgoing personality is a decided plus when introducing RealTime to the public. David is a graduate of the University of Alabama and resides in Dothan with his wife. His boys have followed in his footsteps, the oldest is a graduate of UA and his youngest is currently attending the University. He is a big advocate for downtown revitalization as well as education.